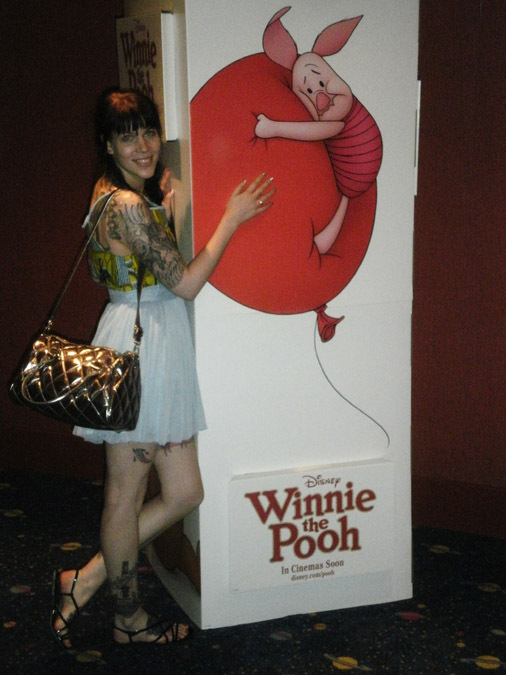 I added the photo below to one of my older posts because of the shoes I was wearing and that got me thinking if I have any other photos with Piglet (I love the photo above where we’re being particularly affectionate). 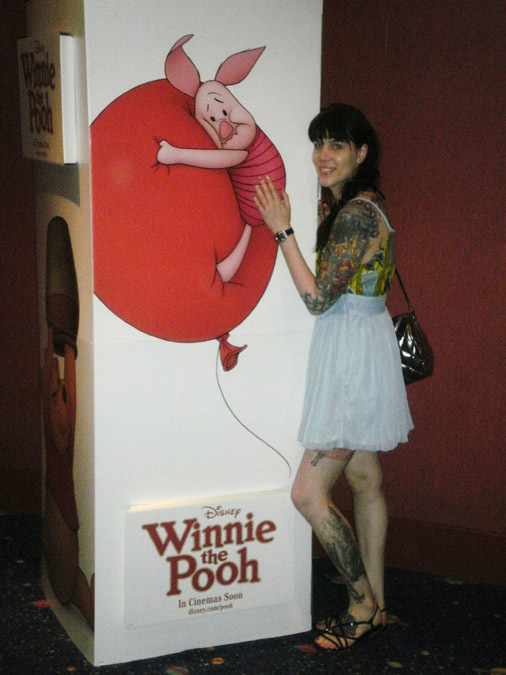 It probably won’t surprise you that, yes, indeed I managed to find a different set of photos featuring me and one of my favorite fictional characters (it also won’t surprise you that I totally wanted to take Piglet home with me but M stopped me – life is so unfair.) *These are from June 2011 when we went to see X-men First Class. But back to my cartoon piggy friend. He and I have a long history, that’s for sure, but it’s not often that we run into each other like this. He is very elusive, that one. Or maybe that’s just because he’s not real. Whatever. Let’s not ruin a good thing. 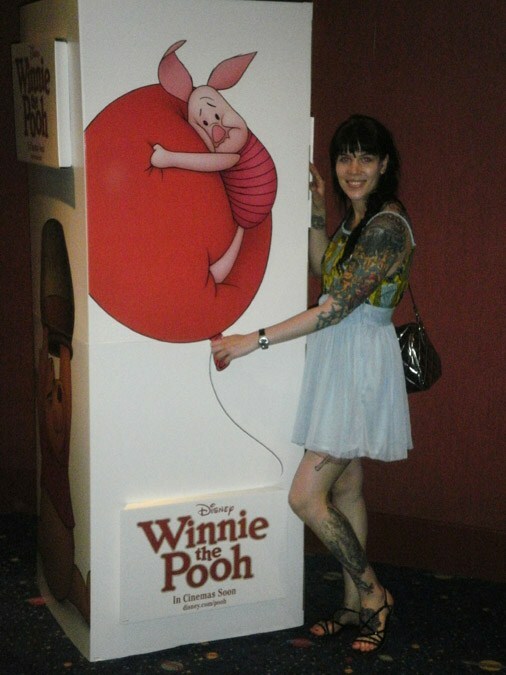 I managed to find the following three photos where: a) I love my dress (thrifted and amazing), b) I like my hair (it’s not often that I make a hair effort, that’s for sure) and finally c) Piglet is present (though he’s obviously not too happy about it). Poor Piglet, he looks quite unhappy up on that balloon. (Anytime I see an animal with a balloon it reminds me of that hilarious Black Books episode when Manny and Bernard write a children’s book about an elephant and a balloon. That’s my favorite episode.) Anyways, the photos were also taken in June 2011 and this time we had gone to see Melancholia. It’s been ages since I’ve been to the cinema and I can’t wait to go since there are so many films I want to go see but all of that will have to wait until I finish my exams. My first exam is this Friday and then it’s almost non-stop until the end of June. Kill me now. I hope the exams go well, it’s a long haul though : ( I love that first photo of you with piglet, it’s so sweet.